This year marks 40 years of innovation for our founder, Tom Dickson. We celebrated today by revealing our newly remodeled building. The 'big reveal'? A three-story replica of our Designer blender! 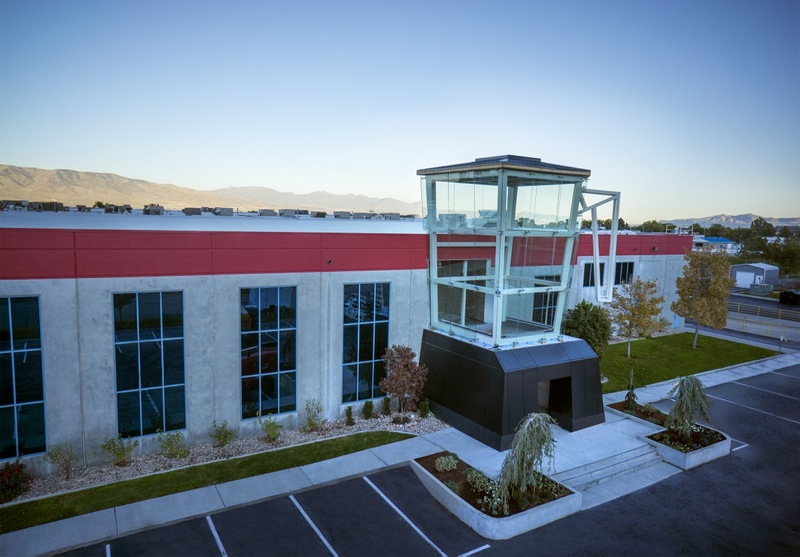 The 37-foot-tall blender frames the entryway to our 270,000-square-foot plant and headquarters in Orem, UT. The steel-framed jar is a massive replica of our WildSide+ jar and features a glass-enclosed second-story conference room. 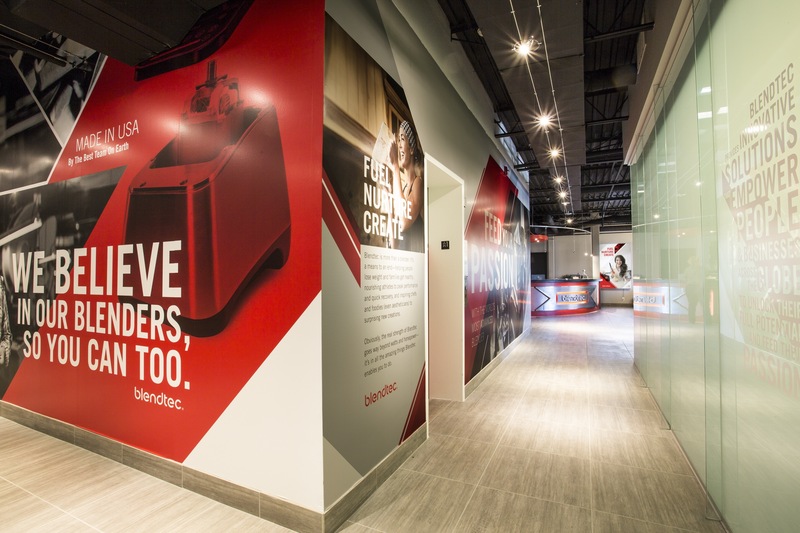 After visitors enter through the blender base, they will walk into a beautiful new lobby and demonstration center lined with floor-to-ceiling artwork that captures Blendtec's passion for quality. 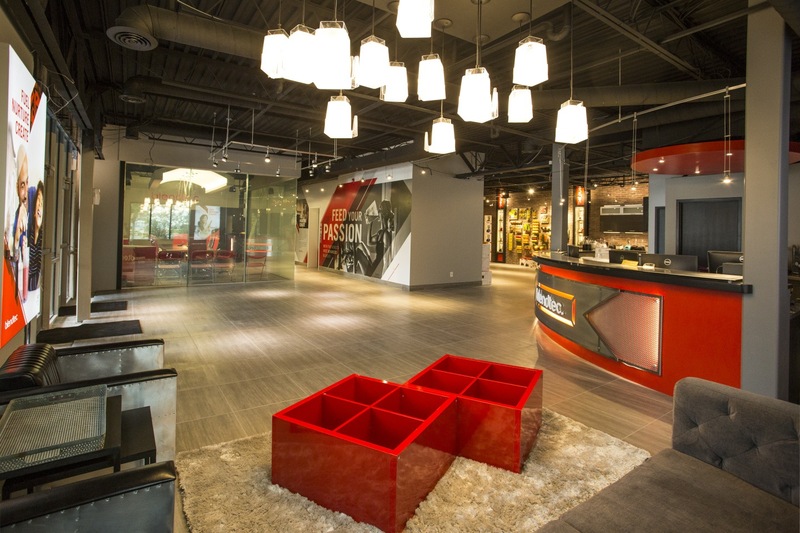 Other remodels include additional office space and expansion of the customer service, marketing and engineering departmental offices. 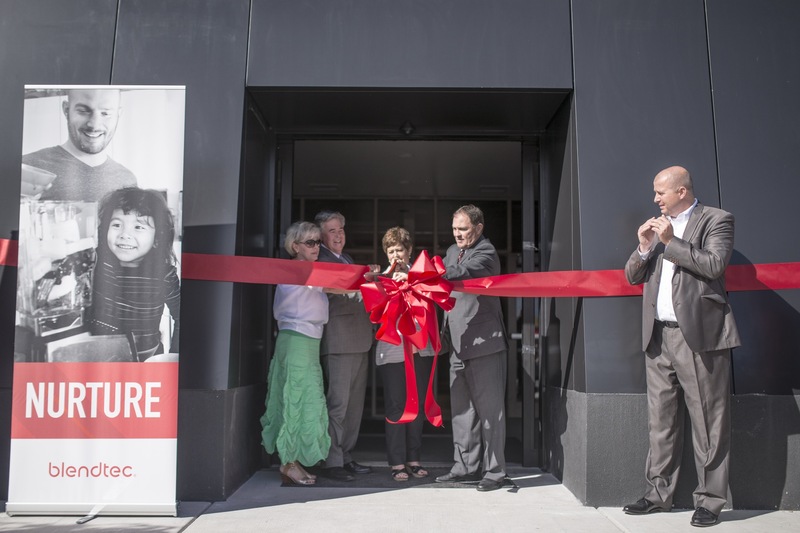 The celebration included a ribbon cutting ceremony with Utah Governor Gary Herbert followed by remarks from Tom Dickson. Fittingly, Tom's first question was, "Will these scissors blend?" He admitted he wonders that about every new thing he sees! President and CEO, Craig Taylor then thanked Tom for his inventions and spoke about the focus on innovation that Blendtec has always had and will continue to have. 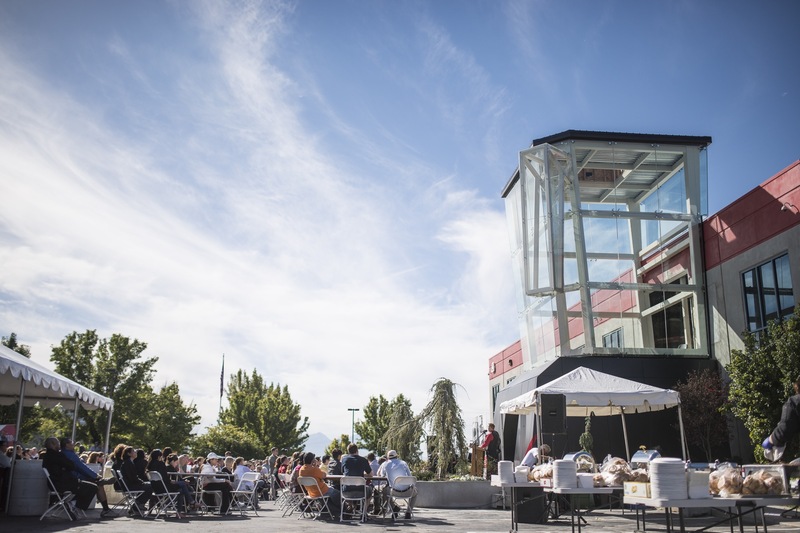 The celebration continued with a barbecue lunch for employees and visiting dignitaries. Optional tours of the remodeled building were given after the luncheon. So, the big question remains (pun intended)... What will this massive blender blend?! I got to walk inside the massive blender today for the first time. It was awesome and your lobby is beautiful. Very impressive!! I’m not sure where you heard that story, but it is not true. That would be awesome, but we did not blend a VW bug in it. I heard that this 3 story blender is a working blender and that a VW bug was blended up on new years day. Is this true and when will the video be posted? The blender will hold 7,251,000 16 ounce smoothies! Wow!